Whether you have an upcoming surgery or a recent injury, using cold therapy for increased healing and comfort can have you feeling relief in no time. In part two of our three part series on cold therapy systems, we are discussing system brands and how they affect your recovery. Be sure to check them out to determine what cold therapy brand is best for your rehabilitation. For more than 30 years, Bledsoe has offered innovative rehabilitation products that treat a wide variety of injuries or conditions. Whether you are looking for the Bledsoe Cold Control or the Bledsoe bMini Therapy System, you will find relief and healing with their products. Both systems are designed for usage immediately after an injury or surgery. They help reduce swelling, pain and speed up the healing and recovery process. DeRoyal is another popular and reliable cold therapy system brand. They have been manufacturing healthcare products worldwide for years, specializing in surgical and acute care products, such as cold therapy products. Two of their most popular products are the DeRoyal Cold Therapy Unit and the DeRoyal Hot/Cold Therapy Unit. Both are designed to help with soft tissue swelling as a result of surgery. ThermaZone manufacturer’s heat and cold therapy products that help patients rehabilitate injuries and decrease acute pain. ThermaZone has long understood that cold therapy pads designed for a specific part of the body increases the effectiveness and comfort during treatment. Easily change between heat and cold therapy with pads intended for the head, eye, neck, wrist, knee, shoulder, ankle and lower back. Drop the ice and invest in comfortable neoprene high-efficiency ThermaZone heat and cold therapy products. Another reliable and trusted cold therapy manufacturer is Breg. They have been providing solutions in the cold therapy world since 1991. 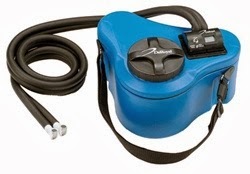 Their signature product, Breg Polar Care Cube Cold Therapy System, is easy to use and reliable. They are designed to reduce swelling, pain, and put the cold where it is need the most. Regardless of the brand you choose, when looking for the best cold therapy for your healing, take time to do your research. There are plenty of products out there that are designed to provide you relief. Look for testimonials and ask professionals for recommendations so you are sure to find the best one for your unique needs. If you need any help or support along the way, MMAR Medical Group Inc is standing by. We have provided high end medical brands at discount prices since 1990. We ship our products nationwide and our inventory is always stocked full for speedy delivery. Contact us with any of your cold therapy system questions today.